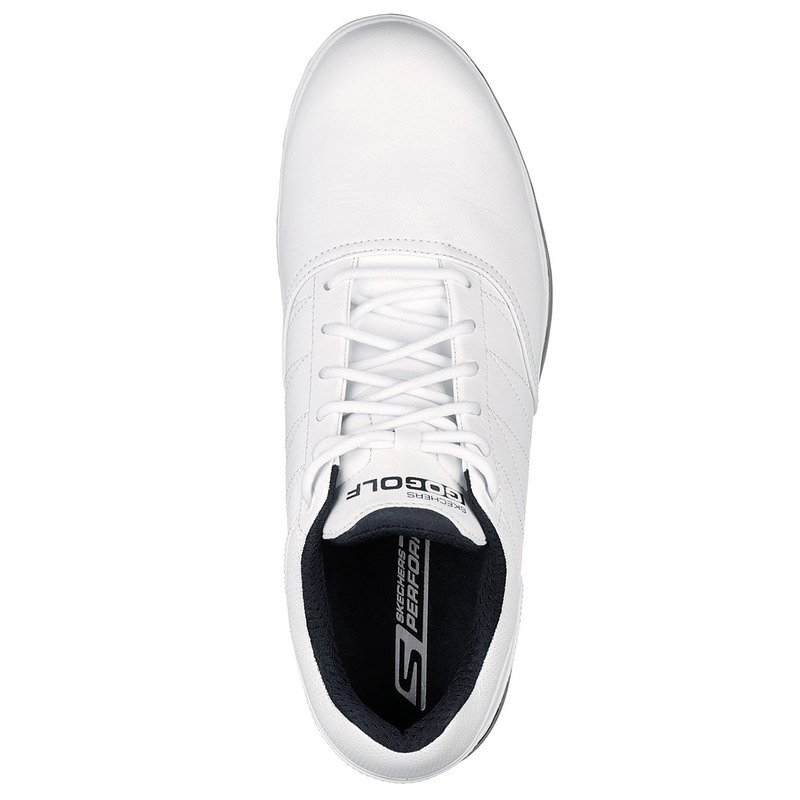 This shoe has been designed and worn by leading golf professional of Matt Kuchar, the Skechers GO GOLF Pro V3 offers a classic design with synthetic side stitching detailed trim, lace-up front and replaceable Softspikes®. 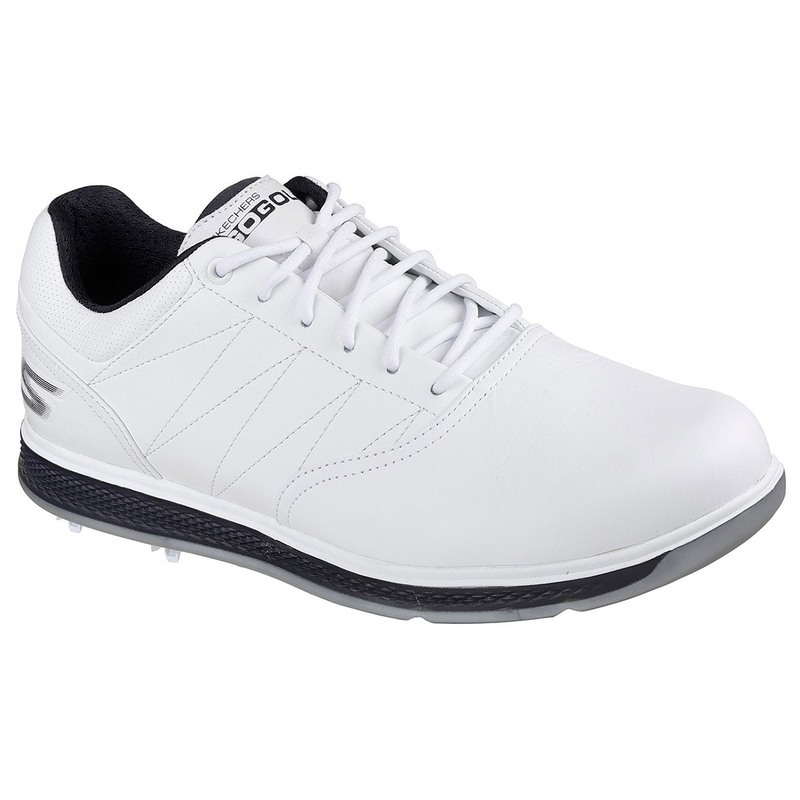 These waterproof golf shoes have been made with a full grain leather upper material for long-lasting looks, plus feature a protective H2GO Shield to prevent any moisture from getting inside. 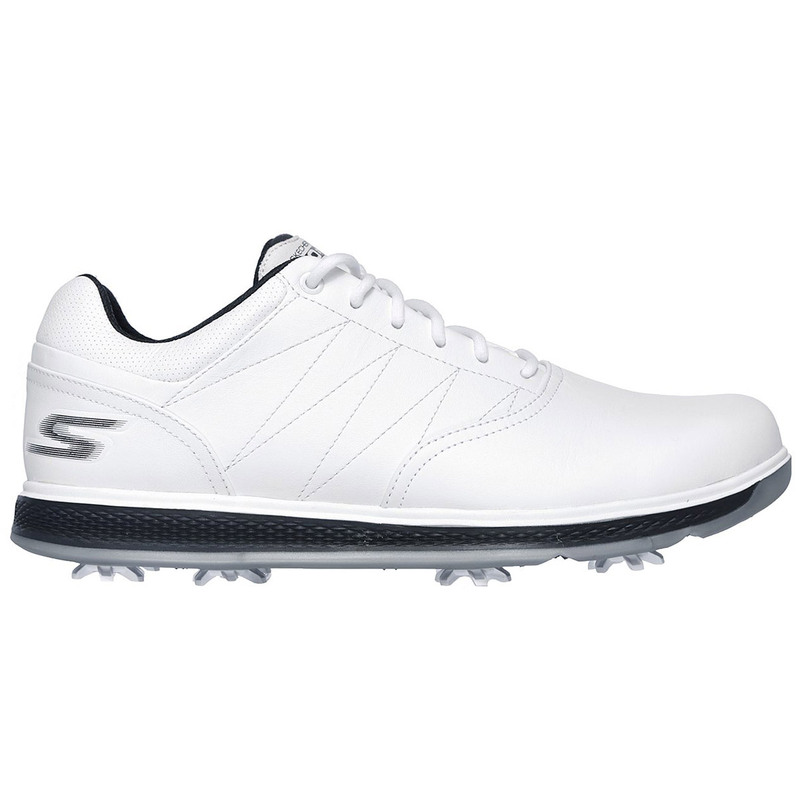 To give you comfort Sketchers have designed the shoe with a lightweight and responsive 5GEN® cushioning, plus features a high-performance Resamax® cushioned insole and soft fabric shoe lining to ensure you remain comfortable as you play golf. 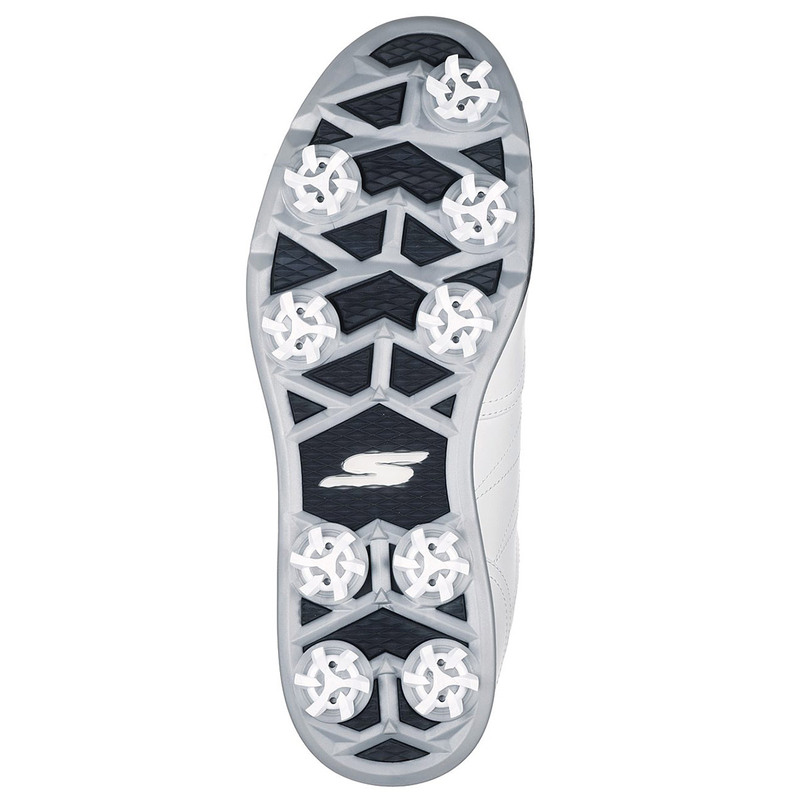 To lock you down during the golf swing the shoes feature an innovative dynamic diamond-design traction plate outsole, with replaceable Softspikes® for maximum grip. The shoe is also sleek and low to the ground, with a heel lock feature for a stable and secure fit.